The watchdog group Palestinian Media Watch has reported that the Palestinian Liberation Organization pays Palestinians who are placed in Israeli jails as a way of rewarding their acts of terrorism. Aware of this information, Sen. Ted Cruz (R-TX) and Rep. Mark Meadows (R-NC) penned a letter to Secretary of State John Kerry last week demanding he close the Palestinian Liberation Organization office in Washington, D.C. The senator also cited the recent Palestinian knife attacks and intentional car accidents that have killed innocent civilians in Israel. These acts of terrorism, Cruz continued, have been justified by Palestinian leaders like President Mahmoud Abbas. 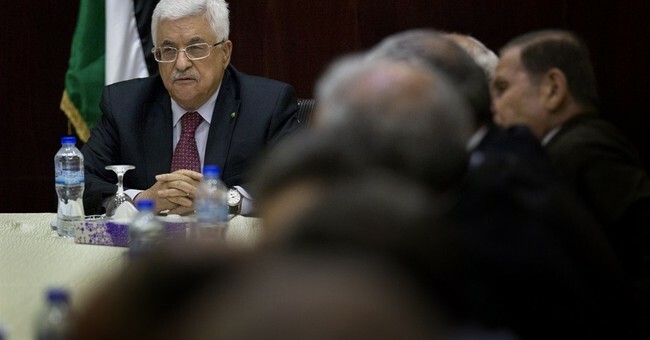 Yet, even with this information, the State Department has rejected their request, insisting that closing the PLO office would harm U.S.-Palestinian relations. "We believe closing the PLO office would be detrimental to our ongoing efforts to calm current tensions between Israelis and Palestinians, advance a two-state solution, and strengthen the U.S.-Palestinian partnership," State Department spokeswoman Elizabeth Trudeau told reporters. The PLO office has a "valid place" in D.C., she continued.